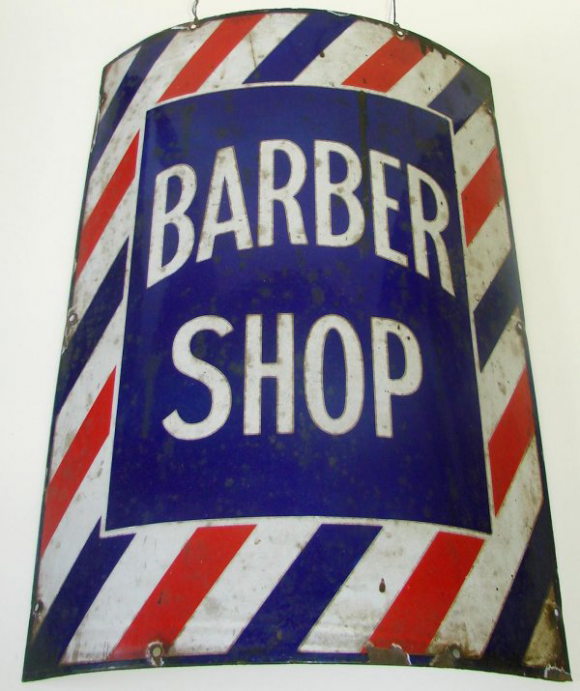 This is a curved rectangular Barber Shop porcelain sign. This particular Barber Shop sign has red, white, and blue stripes behind a blue center. It reads, “Barber Shop” and has no other design.